Yoga/Movement Therapy: Tamara Juel Nelson is a trained/certified therapeutic yoga teacher & trained/certified Phoenix Rising Yoga/Movement Therapy Practitioner. She received her training through Phoenix Rising Yoga Therapy, in Bristol, Vermont, as well as Pre-natal and Post-partum yoga training through Niroga Institute in Oakland, CA. She offers Yoga Movement© and Prenatal Yoga Movement© classes and workshops. 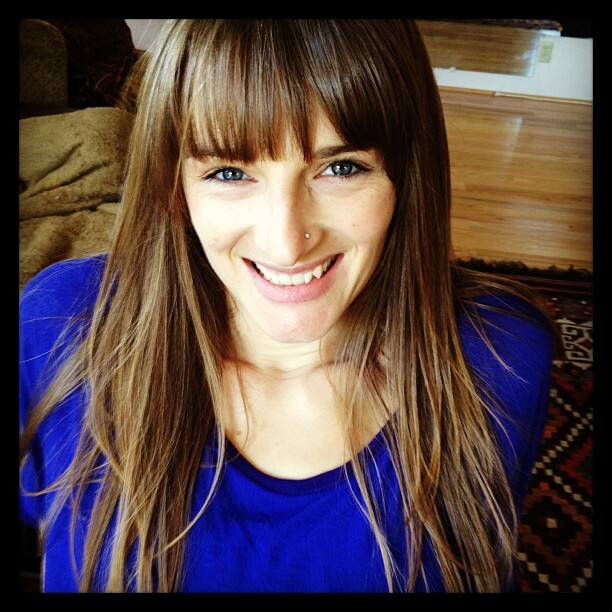 Tamara, a graduate of Phoenix Rising Yoga Therapy 2008-2014, as well as a professional dancer and movement educator. Tamara is currently a MEPN student nurse at UCSF studying on the Women’s Health Nurse Practitioner/Nurse Midwifery Tract. Dance: Tamara Juel instructs and performs a blend of of ethnic and modern dance forms to create a style that can best be described as world fusion, old world, & Contemporary Belly Dance. Tamara has studied classical and modern dance since age 4, and fusion belly dance since 1998. She has a passion for Gypsy dance styles and culture, as well as vintage and modern dance forms. Tamara is currently enthralled in the study of Modern, Contemporary, Ballet, Jazz & somatic dance forms. She artistically fuses these styles together. Tamara is dedicated to bringing emotional and historical reference into her pieces through personal experience as well as the historical and critical study of the feminine in dance. Tamara Juel draws on her experience as a lifelong dancer, yoga teacher, yoga/movement therapist and women’s health practitioner to bring depth and passion to her classes, workshops, performances. Tamara Juel has studied with many of the pioneers in the fusion belly dance field as well as many innovative teachers in the fields of somatic, modern, contemporary, ballet and jazz. She is a founding and long-time member of Zafira Dance Company, and has collaborated and choreographed with friend and teacher Jill Parker for over 15 years. Since 2011, Tamara is the artistic director of Muse Dance Collective, a project based company that thrives on the collaboration with dancers of multiple styles to address modern social issues with a blend of ethnic, classical, and modern movement styles through the belly dance lens. Yoga: Tamara Juel Nelson is a trained & certified therapeutic yoga teacher and Yoga/Movement Therapist. See Learn Yoga & Yoga/Movement Therapy page for more information. She offers a blend of Hatha, Iyengar, & Phoenix Rising Yoga Therapy as well as Yoga Movement© and Prenatal Yoga Movement© classes and workshops. She also brings her yoga knowledge and experience to her dance workshops and classes. Tamara Juel draws on her experience as a lifelong dancer to bring depth and passion to her classes, workshops, performances, and individual sessions. For current class schedule go to Learn page, for upcoming shows, go to Performances, for workshops go to Workshops, and booking info go to Contact & Booking. 1994 – 1996 – Attended The Pittsburgh High School for the Creative and Performing Arts and Manchester Craftsman’s Guild. 1996 – Began Belly Dance training with Christine Andrews and Jill Parker. 1998 – Present – Belly Dance and World Fusion Dance training with various renowned teachers in the field such as Maria Hamer, Olivia Kissel, Jill Parker, Rachel Brice, Zoe Jakes, Kami Liddle, Suhaila Salimpour, Christine Andrews & Tjarda Van Straten. 2003 –500-hr. Massage Therapy training and certification, including prenatal/postpartum massage therapy. 2008-2014 – Yoga Therapy Practitioner with Phoenix Rising Yoga Therapy, Bristol, VT.
2015 Graduated Cabrillo College with an A.A. in Dance and Health Sciences. 2017 Graduated University of California Santa Cruz, major in Community Studies – Health Justice and minor in Dance. 1997-2001 – The Ghawazee Middle Eastern Music and Dance Troupe, based in Pittsburgh, PA. Participated in choreography, staging, set design and musical accompaniment. 1999 – Tamara performed on “Turku LIVE” a live performance DVD featuring Turkish music by the band Turku. 2000 – 2006, she appeared as a guest dancer/choreographer for Ultra Gypsy Dance Theater of San Francisco, under the direction of Jill Parker. 2001 – Tamara Juel, Olivia Kissel, Maria Hamer, and Christine Andrews founded Zafira Dance Company, a world fusion Belly dance collective, based in Pittsburgh, PA.
2001-2005 – Tamara worked with Zafira as a co-director, choreographer, dancer, and assisted production of “Caravan Serai: Travel Through Dance”, a live dance performance DVD. 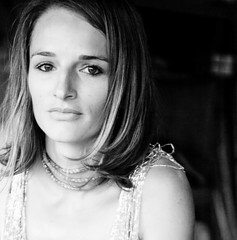 2005 – 2011 – Tamara performer & choreographer with Zafira Dance Company as a collaborative artist on specific projects, Zafira disbanded as a company in November 2011. 2009 – 2013 – Tamara performer & choreographer with professional Fusion Belly Dance company The Foxglove Sweethearts(SF) under the direction of Jill Parker. 2010 – Tamara appeared as a featured artist in collaborative and original choreography with Jill Parker, Maria Hamer, Christine Andrews and Olivia Kissel, on the live performance DVD “Vaudeville Carnivale,” produced by Olivia Kissel and Maria Hamer. 2011 – Tamara Juel spent most of the year in Europe, teaching workshops and performing solo as well as collaborating on choreography with The Amano Project and Tjarda Van Straten of The Uzume in The Netherlands. Nov. 2011 – Tamara performed with Zafira Dance Company, & Olivia Kissel’s Hybrid Dance Project at the Kelly Strayhorn Theater in Pittsburgh, PA.
March 2012 – Tribal Massive Las Vegas – Tamara Juel Choreographed a group piece for Jill Parker’s Foxglove Sweethearts and performed as a guest with the company. May 2012 – Tamara Juel choreographed and performed a collaborative piece with Jill Parker and Olivia Kissel, entitled “Snakes in the Garden” at Tribal Fest in Sebastopol, CA. June 2012– presented original solo choreography as well as an original group choreography with student dancers at The Tannery World Dance and Cultural Center. November 2012 – Founded “Muse Dance Collective” a professional Contemporary and Fusion Belly Dance Company. November 2012 – Performed with “The Foxglove Sweethearts” and Balkan band “Brass Menazeri” at Kafana Balkan at the Rickshaw Stop in San Francisco, CA. December 2012 – Performed works by Robert Kelley of Santa Cruz Ballet Theater, & David King for the Cabrillo College Winter Dance Concert. February 2013 – Performed at “Dance & Diaspora featuring dance by Jill Parker & The Foxglove Sweethearts & live music by MWE” produced by ODC at the ODC Theater in San Francisco, CA. May 2013 – Choreographed & performed a collaborative piece with Charley Fierro & students of Cabrillo College Dance department at the Spring Dance Concert. July 20, 2013 -Performed with bands Hot Blood Orkestar & Fanfare Ciocarlia at Moe’s Alley in Santa Cruz, CA. December 2013 – Performed works by Robert Kelley of Santa Cruz Ballet Theater, Melissa Wiley of Flex Dance Company, Cid Pearlman, and David King for the Cabrillo College Winter Dance Concert. Feb 2014 – Featured in Music video by Fialta in Modern Dance choreography by Casandra Owen. March 2014 – Attended ACDF (American College Dance Festival) in Tempe, AZ. May 2014 – Choreographed and performed in multiple pieces for the Cabrillo College Spring Dance Concert. May 2014 – MUSE Dance Collective performed at Tribal Fest 2014. Choreography by Tamara Juel. October 2014 – Tamara was selected by audition for The 418 Project’s “Emerging Choreographers” where she choreographed and performed an original 18 minute piece entitled “Stratum” combining Contemporary, Modern, Jazz, Ballet, and Belly Dance. Jan. 6, 2015 – Tamara performs with Zoe Jakes student choreography at Underground Nomads San Francisco, CA. Jan. 2015 – Tamara performs with Kami Liddle’s Expansion Project at 8 pm, Stardust Follies: An Evening of Modern and Bohemian Dance & Music at LEVY Dance in San Francisco, CA. February 2015 – Performed solo choreography with the Feldthouse Family Band at Queen of Hearts Show featuring Zoe Jakes in Santa Cruz, CA. May 2015 – Choreographed and performed original solo and group pieces for Cabrillo College Spring Dance Concert. October 2015 – Performed collaborative choreography in full length production by Jessa DeLancey at the Tannery World Arts and Cultural Center, Santa Cruz CA. May 2016 – Performed and collaborated in choreography with Gerald Casel and other UCSC students in full length dance production GIVE. February 2017 – Performed in UCSC production Random with a Purpose. April 2017 – Performed with UCSC’s Random with a Purpose during Santa Cruz’s National Dance Week event Dancing in the Streets. Tamara Juel is an artist and is always seeking to expand the ways in which she can express herself and assist her students along their journey through dance and yoga. She continues to learn from and gain inspiration from many dancers & performers and continues to study many folkloric and modern dance styles, as well as yoga. She graduated Cabrillo College with an AA in Dance and Health Sciences and most recently graduated from the University of California Santa Cruz with a Bachelor’s degree in Community Studies – Health Justice. She is currently applying to graduate programs for a degree as a mid-level medical provider in Women’s Health. In 1997, she started performing with The Ghawazee Middle Eastern Music and Dance Troupe, based in Pittsburgh, PA. She also has a long collaborative and deep friendship with one of her best friends and dance partners Jill Parker, they began dancing together back in 1998 in Jill Parker’s Ultra Gypsy Dance Theater in San Francisco, and continue to work on many projects together. In 2001, Maria Hamer, Christine Andrews, Olivia Kissel and Tamara Juel founded Zafira Dance Company out of a deep love and respect for each other as artists and the vision to create something new, a world fusion dance collective that featured each artist as an individual and within a dynamic and cohesive group, based in Pittsburgh, PA. Zafira disbanded in 2011, but I am sure we will all still dance together till we are old grandmas. Tamara created Muse Dance Collective in 2012 out of the desire to express herself fully by representing both modern and gypsy dance forms.